Knowing how to invest money is not always enough, finding the best investments and opening the correct brokerage account(s) is a necessity for good wealth management. Investing money is just the start; you also need to be able to find the right investment opportunities (whether you prefer stocks, options, or publicly listed investment companies such as ETFs) to make good investments. 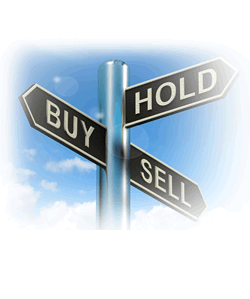 You can trade stocks listed on all major exchanges with SogoTrade..
Trade stocks listed on NASDAQ, AMEX and NYSE. Option trading provides many advantages over other investment vehicles; Leverage, limited risk, insurance and profiting in bull or bear markets. Sogotrade is also pleased to announce that trading in Weekly options is now available on the Sogotrade Options platform. Find out for yourself why so many traders love trading weekly options. 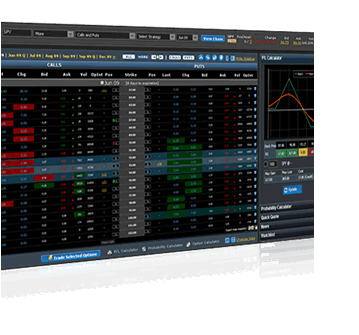 Try our basic or advanced trading platforms that offer our intuitive options trading tools. 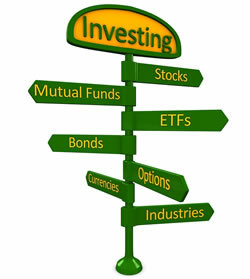 Diversify your trading portfolio with ETFs trading product . 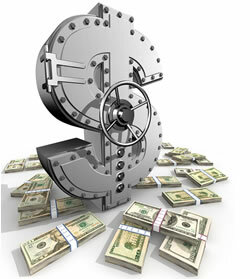 You can utilize our low cost trading commission to trade different type of assets, commodities or sectors ETFs. 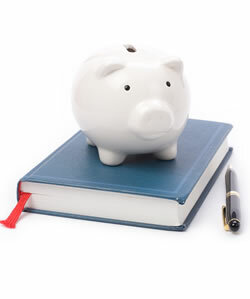 You can establish and make contributions to an IRA if you received taxable compensation during the year and have not yet reached the age of 70 1/2 by the end of the year. Contributions may be made up to the lesser of 100% of compensation or $5,000 ($6,000 for individuals over the age of 50) as of 2010. 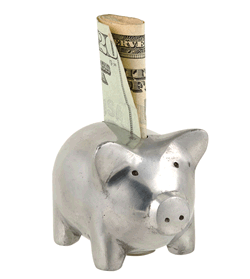 If you maintain multiple IRA accounts, the maximum contribution to all of the accounts cannot exceed these totals. An IRA for any year may be opened and funded at anytime before the due date for filing your tax return, not including any extensions. If you received an eligible rollover distribution from your IRA, employer's qualified pension, profit sharing or stock bonus plan, annuity plan, or tax sheltered annuity plan (403(b) plan), you can roll over all or part of it into an IRA. Rollover contributions must be made by the 60th day after the day you receive a distribution from your IRA or employer's plan in order to continue their tax-deferred status. Please contact us for more information. Eligibility - Any individuals who fall within certain income limits may make contributions up to $2,000 per year on behalf of a child under the age of 18. Single tax filers with annual adjusted gross income (AGI) up to $95,000 or married joint tax filers with AGI up to $190,000 are eligible to make the maximum annual contribution to a Coverdell ESA. The amount that may be contributed is gradually reduced to zero at AGI levels between $95,000 and $110,000 for single filers and between $190,000 and $220,000 for joint filers. Tax Deferred Earnings / Tax Free Withdrawals - While contributions are not tax deductible, the earnings in the account grow on a tax deferred basis and distributions are tax free if used to pay qualified education expenses. Our clearing firm has purchased an additional insurance policy through a group of London Underwriters (with Lloyd's of London Syndicates as the Lead Underwriter) to supplement SIPC protection. This additional insurance policy becomes available to customers in the event that SIPC limits are exhausted and provides protection for securities and cash up to an aggregate of $600 million. This is provided to pay amounts in addition to those returned in a SIPC liquidation. This additional insurance policy is limited to a combined return to any customer from a Trustee, SIPC and London Underwriters of $150 million, including cash of up to $2.15 million. Similar to SIPC protection, this additional insurance does not protect against a loss in the market value of securities.